​Hannah is the posterchild of the perfect Labradoodle. Imagine a sweet personality, fired up hunting drive, low to no shedding, mellow house disposition, gorgeous silhouette, extreme athletic abilities and a strong desire to please all wrapped up into one little dog! That's what you'll find in a dog like Hannah. 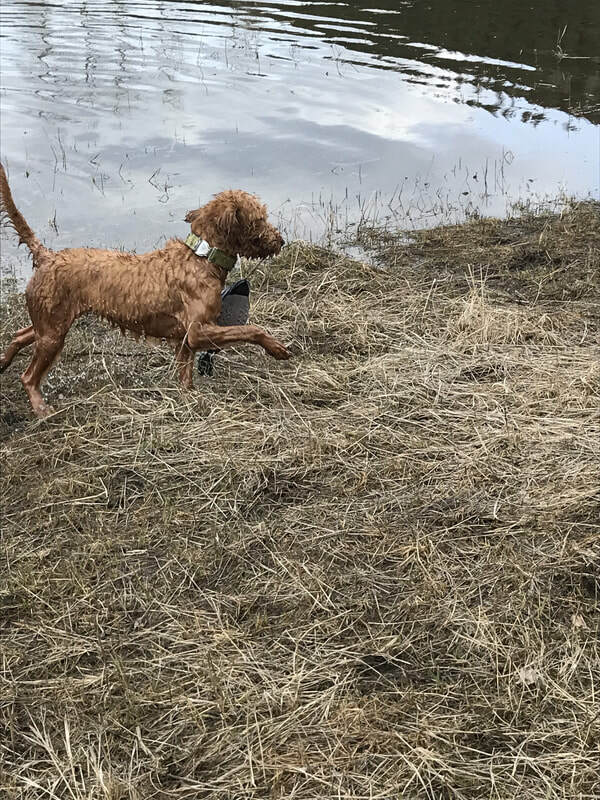 Hannah is the daughter of Libby (red pointing lab) and Luke ( red standard poodle) and has gone above and beyond our highest expectations! 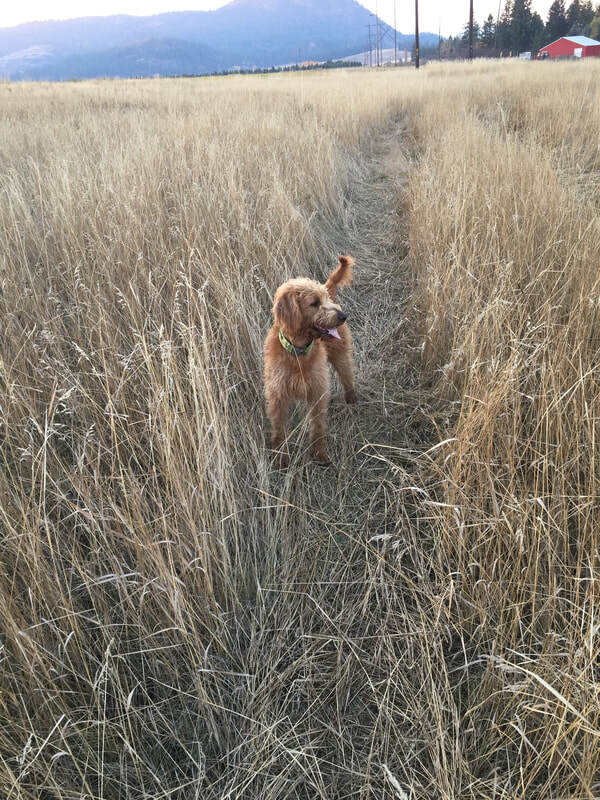 We are so happy to introduce her as our primary breeding Labradoodle for F1b and multi-generation litters. 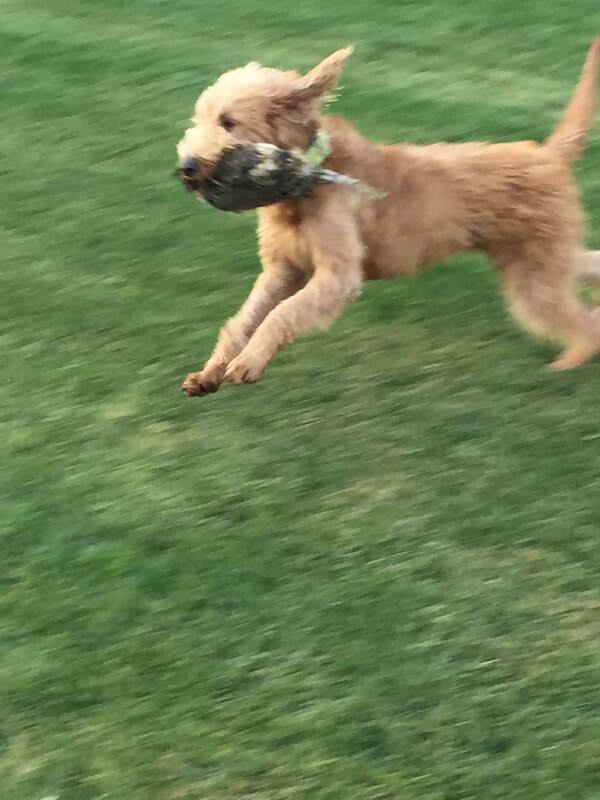 She comes from a long line of hunting and family dogs on both sides and has most certainly proven to be ten-fold of both. Hannah is about 50 pounds.